Thanksgiving Day conundrums and puzzles: How to distract your family from politics over the holiday. Don’t Argue Over Thanksgiving Dinner! Let’s keep the peace this year. For the last seven years I have written a Thanksgiving argument settler to arm you for the disputes that inevitably arise over the holiday meal. Readers have found this helpful in besting the doctrinaire uncle or blow-hard cousin. For some, it is simply a basic debriefing so they don’t feel at a loss when topics of the day take over the afternoon. I’m not going to leave you unarmed, however. In some families the annual sparring serves a useful social purpose. Political conversation takes the place of silence, or better yet, takes the place of disputes over old grudges that would fill the silence. Some families are made up of pugilists who cannot be appealed to with calls for an armistice. They simply must debate something. Plus, during the distraction, the kids can feed the Brussels sprouts to the dog. Would you rather play the world’s instruments expertly or speak the world’s languages fluently? 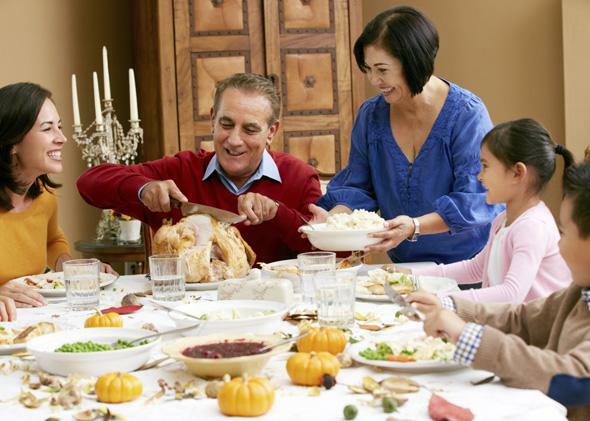 If you could invite one person to dine with the family, who would it be? What era would you like to have grown up in? If you could live five years longer but had to give up your iPhone, would you do it? If you could put a camera on any one person without them knowing it and observe them for a year, who would it be? At what age would you hug yourself, punch yourself, or fall in love with yourself? If you could be fluent in one language for seven days, which would it be? In a survey, 75 percent of NASA employees say they would take a one-way ticket to Mars. Would you? If you could demolish one building with no casualties, which would it be? If you could move to any state for two years, what would it be? You are giving advice to a ninth-grader from a disadvantaged home and a rough neighborhood. Do you tell them they can be whatever they want to be or give them a more realistic assessment of their chances in life, so their hopes aren’t dashed? Imagine your significant other proposed to you but told you he or she had a 3-by-3-by-3-foot metal box that you could never open and never know what is inside. Would you continue the relationship? Which of the seven deadly sins (wrath, greed, sloth, pride, lust, envy, and gluttony) is most likely to lead to your soul’s downfall? If you could give yourself one piece of advice at age 20, what would it be, and how would you convince yourself to take it? If this list prompts you to offer any conundrums that you really like, send them to slatepolitics@slate.com, and we’ll collect them for next year. Happy Thanksgiving!